The Manzanar Airport: Located 10 miles north of the city of Lone Pine at the Manzanar Reward Road sign (on the right, may be hard to see at night), go 1/4 mile east of US 395 and you're there. MUST BE 18 years of age (16 to 17 years of age with a minor release form signed by legal guardian) and hold a valid driver's license. No memberships required. Due to the high speed nature of this event, it is recommended for experienced competitors. COMMON SENSE! - MUST WEAR SEAT BELTS AND HELMET (some loaners available). Helmets must be SNELL/SA 1995 or newer. No DOT helmets. Open vehicles must have a roll bar OR factory option hardtop or equivalent. NO alcoholic beverages or other intoxicants may be used by drivers, crew or spectators during each day's event; after the course is closed - have a BLAST! Please observe a 5 mph speed limit in the pits. SOLO, Club Racing, SCCA, IMSA, VINTAGE, NASA, the family sled, or whatever. We will find a class for you. 5 or more pre-registered drivers who want to run their own class may do so (commonly known as the “Beater Class”). OPEN EXHAUST if your class allows it. Basic car classification will be per the 2015 SCCA National Solo rule book. Still not sure what class? - provide details via email to the Chair email below on how your car is prepared (engine, suspension, tires & wheels, etc.) and we'll find a place for you. Unsafe vehicles will be turned away. 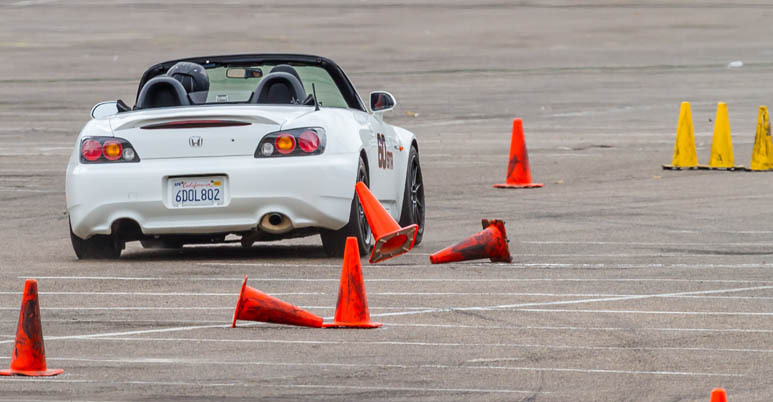 This is not an autocross event, this is a high speed time trial.